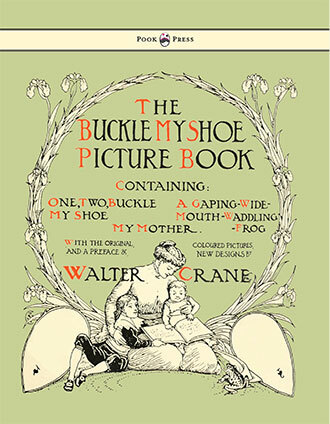 ‘The Buckle My Shoe Picture Book’ is one of Walter Crane’s celebrated Toy Books. 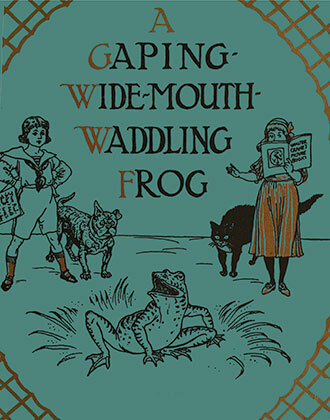 It contains the charming tales of ‘Buckle My Shoe’, ‘The Gaping-Wide-Mouth-Waddling Frog’ and ‘My Mother’. 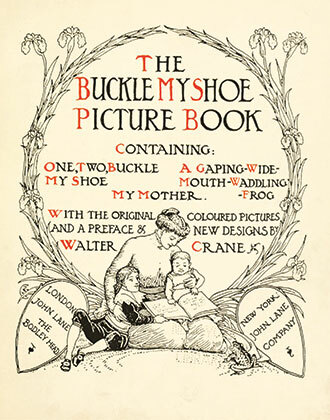 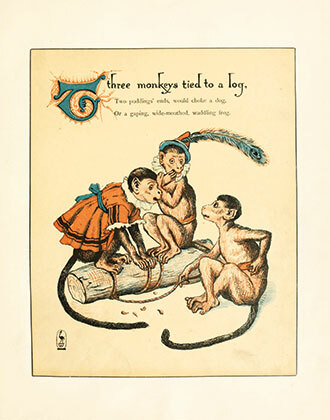 As Crane himself stated in the preface to this luxuriously illustrated edition, ‘A pleasing romance of domestic incident runs through “One, Two, Buckle my shoe”, while the “Waddling Frog” shows a rich and sumptuous imagination… if one were to ask… what is “My Mother” doing in such company? 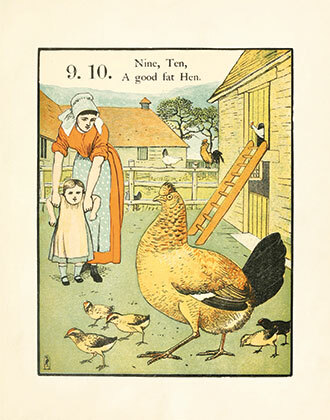 I shrewdly suspect, if we knew the truth, that she is really the author of both.’ This good natured humour continues throughout the text and full-colour illustrations – making this a truly charming volume of children’s verse. 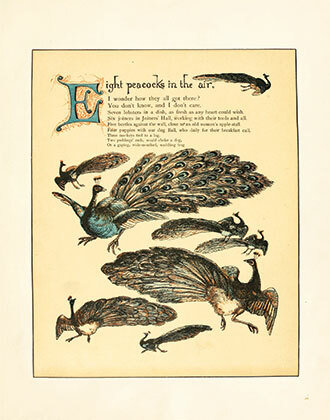 Crane (1845 – 1915), was an English artist and book illustrator. 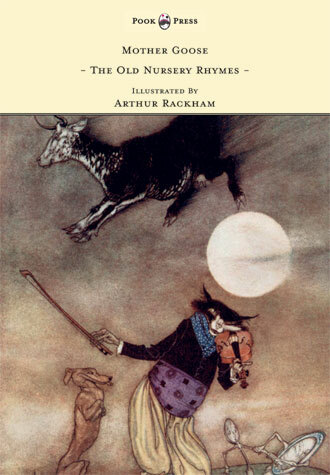 He is considered to be the most influential, and among the most prolific, children’s book creator of his generation. 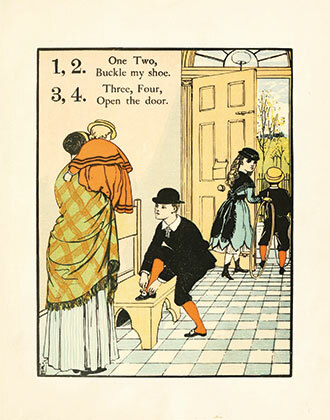 Alongside such names as Randolph Caldecott and Kate Greenaway, he was also one of the strongest contributors to the child’s nursery theme. 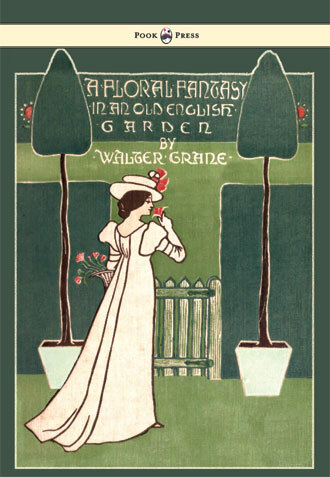 Crane’s work is characteristically colourful and beautifully detailed, taking its inspiration from the Arts and Crafts movement (of which he was a member), as well as the iconic child-in-the-garden motif. 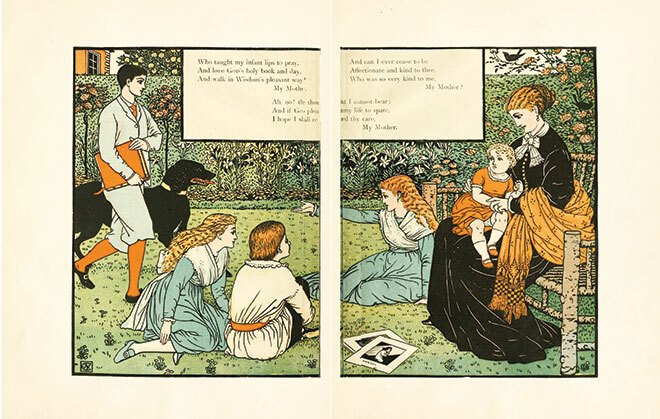 His illustrated books are incredibly sought after today, as some of the finest examples of Golden Age art. 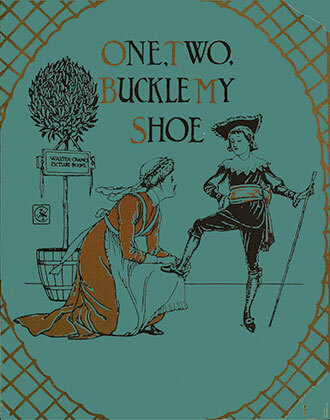 With works such as The Buckle My Shoe Picture Book, Pook Press celebrates the great ‘Golden Age of Illustration‘ in children’s literature – a period of unparalleled excellence in book illustration from the 1880s to the 1930s.